Account-based travel on multi-modal, multi-operator journeys across the North has moved one step closer to reality. After months of preparation, we have issued the Invitation to Tender for the supply of the Integrated and Smart Travel (IST) programme's integral Account-Based Back Office for Travel (ABBOT) solution. This follows our evaluation of suppliers’ initial interest and HM Treasury’s approval of the Outline Business Case, as reported in our last newsletter. We would like to thank our stakeholders for the support and assistance they have provided in helping us reach this key project milestone. Many hours have been spent working in collaboration to map out the technical requirements needed to make ABBOT the right solution for both operators and customers. We are now excited to receive the tender responses from our select suppliers. As detailed below, the wider development of the programme also continues apace. The Phase Two team have completed their Final Business Case ready for submission to the Department for Transport. Technical trials for Phase One’s rail smartcards have also successfully taken place, ahead of their launch to customers on the initial rollout routes later this month. With carefully-laid plans now moving towards fruition, it has been a good time to speak publicly with both industry stakeholders and public transport passengers. This has provided opportunity to reflect on the progress made and the direction we are heading. We always value these conversations and the opportunity to gain feedback. It has been great to see so many are as excited by the IST programme as we are. We have now issued the Invitation to Tender (ITT) to select suppliers for our Account Based Back Office for Travel (ABBOT) solution. ABBOT forms the major product that will enable us to provide the North with a multi-operator account-based ticketing system for passengers on all modes of public transport. Primarily using contactless EMV cards for payment, passengers will be able to just ‘touch on’ and ‘touch off’ as they travel - confident in the knowledge they are being guaranteed a fair price for their journey. ABBOT will keep a record of a customer's collective journeys over a day or week, deduce the costs and charge accordingly. Phase Three of IST will also be providing a pre-paid solution to ensure ABBOT is accessible for all passengers, no matter how they wish to pay. Following on from the procurement launch, which took place over the summer when we issued the OJEU notice, we have evaluated and moderated over 20 supplier responses for the Lot 1 (ABBOT) and Lot 2 (Prepaid) requirements. We have now invited seven selected leading suppliers to prepare full tender responses. In no particular order they are; T-Systems, S&B, Cubic, Conduent, Fujitsu, Thales and Hitachi. Looking ahead, the next steps in the development of Phase Three are to begin the development of the Final Business Case (FBC3) and within the next couple of weeks to launch the Merchant Acquirer OJEU notice. ABBOT supplier negotiations will begin in Q2 2019 after we have evaluated the ITT responses. The first stage of ABBOT's delivery is scheduled for go-live in 2020. In an exciting step towards the delivery of our programme, we have successfully carried out the technical trials for Phase One of IST, ‘ITSO on Rail’. The trials took place on Hull-Scarborough-Malton rail lines and smartcards will now be made available for all season tickets holders on the same route later this month. This is the first real, substantive change to passenger journeys that Transport for the North are delivering. To tie in with the launch, we have also conducted a baseline Customer Insight survey which will help us evaluate the benefits of smartcards for passengers in the North. Results show smartcards and mobile usage are still not mainstream, with 65% of commuters using a paper ticket purchased at the ticket office or from a machine. However, season tickets are the most popular ticket types used for regular journeys, showing a large potential market for passengers who could make the switch to smartcards. We’re excited to see how they will be received. Wider roll out across the region’s rail network will take place on a route by route basis, with full enablement expected by December - in line with government’s Smart Ticketing on National Rail initiative which is aiming to achieve full smartcard interoperability across all rail services in England and Wales. Transport for the North’s internal review of the Full Business Case for Phase Two (FBC2) is now complete. Phase Two - ‘Customer information, collaboration and innovation’ – aims to extend the data and disruption messaging experience currently enjoyed by rail passengers to bus travel. When the phase is complete, bus passengers across the North will be able to plan journeys, obtain fares information, travel and avoid disruption much more conveniently, quickly and simply. Key elements of the delivery programme include enhanced bus fare and disruption information for services across the region, as well as an Open Data Hub which will enable external app developers to deliver this information to passengers. We are also working collaboratively with Traveline and the Department for Transport’s Bus Open Data team to explore the creation of Fares Data Build Tool to improve bus data on a national scale. The business case will now be submitted to the Department for Transport for approval later this month, before going to HM Treasury in the New Year. Applications for our ‘Touch on, touch off’ (ToTo) Innovation grant funding opportunity have now closed. We have reviewed all submissions and are set to announce the successful applicants later this month. The chosen operators will receive funding to test ToTo capabilities in a live environment. In parallel we have also commissioned research to supplement this understanding of the ToTo capability. Outputs from the trial will be used as evidence to de-risk and support the Phase Three Full Business Case, and help inform operators when considering the pro’s and con’s of which solution works best for participation in our ABBOT scheme. Our 'Innovation' initiative has been devised to deliver early benefits and opportunities to pilot new smart travel technology. IST has enjoyed a busy few months of public-facing communications activity. 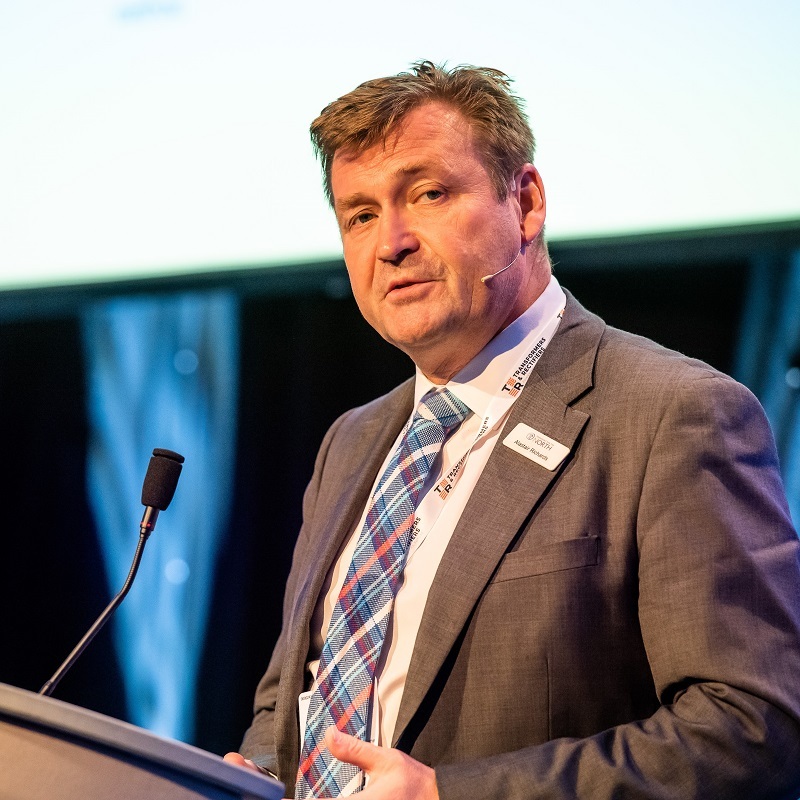 Programme Director Alastair Richards has been interviewed by a number of regional BBC radio stations and also presented at industry conferences including ‘Smartex’ and ‘TransCityRail’. These events provide a valuable opportunity to speak to relevant sector professionals and with key stakeholders. Coming up, Alastair is scheduled to appear to ‘Smarter Travel LIVE’ tomorrow and the ‘North of England Transport Summit’ in November. We have not forgotten passengers - who are at the core of our plans - and members of the team recently attended the West Cumbria Bus User Group’s Annual General Meeting. We presented an overview of the programme and were able to gain feedback from both young students and older public transport users in an area of the North where passengers suggest they often feel forgotten. Next month we will be engaging with young people and operators even further at our planned ‘Passengers of the Future’ Youth Forum. If you have an event which you would like us to speak at, please get in touch.